As consumer trust continues to shift toward earned media, corporate dollars are moving just as quickly away from the comms department. In fact, according to the 2018 Global Comms Report, global paid media spend ratios are currently at 95 percent, 4.5 percent for owned media and only .5 percent for earned media — a drastic budget difference. Up until now, comms teams have relied heavily on “vanity” metrics, such as potential reach or advertising value equivalency (AVEs), which carry little weight compared to traditional business metrics. Without the ability to tie earned media efforts to true business outcomes, leadership continues to invest in areas of marketing that show measurable results. To justify the need for budget and resources, PR pros must embrace the concept of modern measurement. From important campaign metrics, including total mentions and audience sentiment, to performance and attribution metrics, such as engagement and conversions, comms must gain the insights they need to prove the value of their earned media programs. PR and comms managers, or those in a similar role, are often the ones coordinating earned media campaigns at a more tactical level. Understanding coverage across a variety of sources is essential when it comes to proactively shaping future messaging and outreach. Popular campaign metrics include share of voice, total mentions and audience sentiment. Cision Comms Cloud™ enables you to access this data through holistic media monitoring across online, print, broadcast and social to better understand specific brand mentions, competitive updates or key industry trends. And now, as of today’s Mount Belukha release, Comms Cloud clients can also monitor for images, directly from the platform. As earned media becomes increasingly visual, the image-based content that you use to tell your story becomes even more valuable. With the integration of ImageIQ, formerly ShareIQ, into the Cision Comms Cloud, you can measure the history of an image or logo and its path forward, without the need for hashtags, text, or metadata. Those who rely solely on text-based monitoring are missing this key component that completes a brand’s comprehensive view of earned media’s impact on their business. 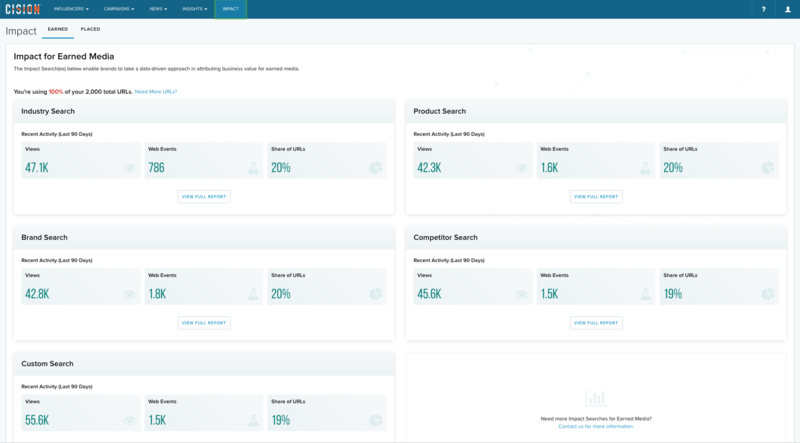 Comms Cloud clients will now be able to create and adjust communications strategies by leveraging data on reach, engagement and audience of each brand image. For example, let’s say that a comms professional at a retail company is leveraging Cision Comms Cloud to explore their image coverage. They may see their top three images as shoes, a model wearing a new outfit, and a jewelry promotion picture. Drilling into the jewelry promotion picture, ImageIQ reports it was re-posted across 21 various outlets with 28 unique postings total, including the publish dates and daily visitors of each posting. After viewing the performance of the other two images in comparison, the comms pro is then able to determine which of the brand’s images generated the most pick-up, and was most preferred by the media, to inform future campaigns. While media monitoring is the first step to understanding how messages are resonating across various channels, comms is still faced with the important question of whether or not their campaigns are reaching target audiences. Messaging might be strong, and coverage widely distributed, but if the content is not consumed by the right people, it is likely falling on deaf ears. 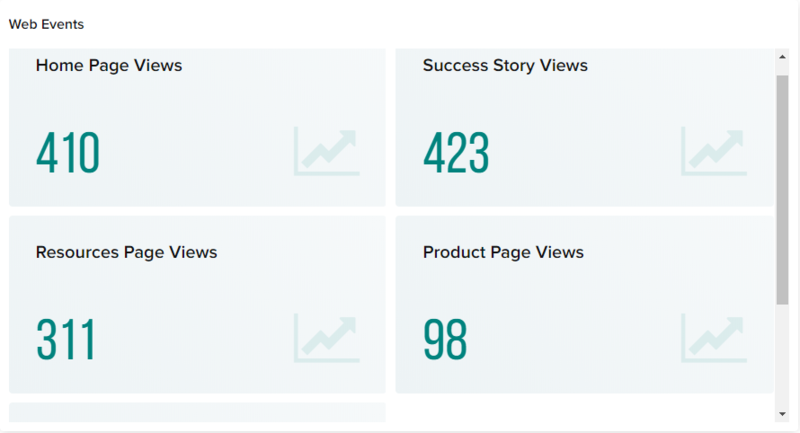 Cision Impact for Earned makes it possible to report on the actual audience consuming a brands’ earned media coverage. This groundbreaking technology launched in November 2017, which is fully accessible from the Cision Comms Cloud platform, identifies individuals or audiences who consumed your brand’s earned coverage. Cision Impact for Earned delivers real demographic and firmographic data across all earned media sources, beyond placed press releases. 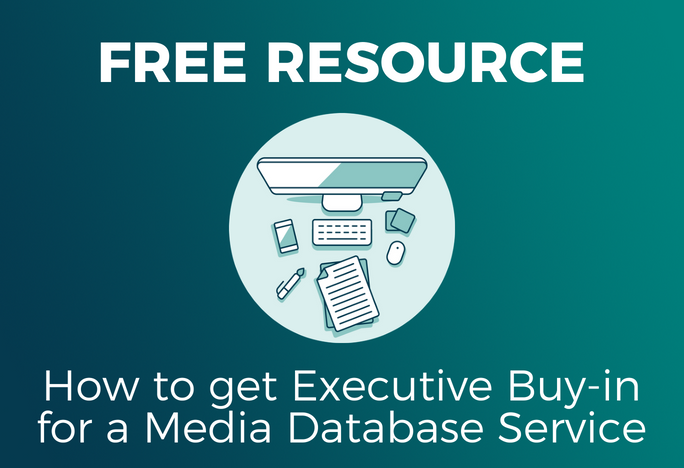 Eliminate the time that was previously spent researching who a campaign may reach based on data provided by each outlet and turn potential audiences into actual audiences. Even more, identify the number of unique visitors across the entire internet for a specific brand or campaign and access the top web domains in an industry to better strategize influencer outreach. The insights gained from this technology make it possible to ensure you are reaching the audiences that matter to maximize the impact of your earned media programs. As an example, let’s think back to the same comms pro at the retail company above. By tracking the audience demographics of a direct competitor’s coverage, they might learn that females between the ages of 55 and 69 are most likely to engage. Historically, the retail company focused their messaging on younger consumers, but now realize this opportunity to target a new audience and expand their efforts to maximize results. PR and comms leadership will want to access and report on audience data, but also on the impact that earned media campaigns have on the business. Historically, this has been an extremely challenging goal to execute and has prevented comms from gaining the credibility that they deserve. Business metrics that are leveraged across the rest of the marketing department are typically metrics like lead generation, reach or impressions, revenue generated, which are not easily translated from popular PR metrics such as the AVEs. Fortunately, Cision Impact Web Events measure an earned audience’s interaction with your website. This is an instrumental component to closing the loop between PR, marketing and sales. Although revenue is typically considered a distant concept for PR, Web Events make that long-term vision much clearer. That same comms professional at the retail company is finally able to track how coverage impacted customer behavior on their website, across multiple product lines. If jewelry sales have been low, they can accurately measure how specific earned media content drove traffic and conversions on their jewelry webpage, and continue to tweak their outreach and messaging for upcoming earned media programs, while proving the value of their efforts to key stakeholders. Today’s Mount Belukha release demonstrates Cision’s commitment to innovation and integration of technology that we both acquire and build in-house. As indicated in our early November announcement, Cision has established the Cision Innovation Lab to carry out the vision of using earned media management to revolutionize the communications industry by turning the comms function into a business driver. ImageIQ, Impact for Earned and Web Events, have officially left the lab and are now fully integrated with our existing Comms Cloud platform! We look forward to sharing more of the exciting technology our Comms Cloud customers will be able to leverage in the coming year. 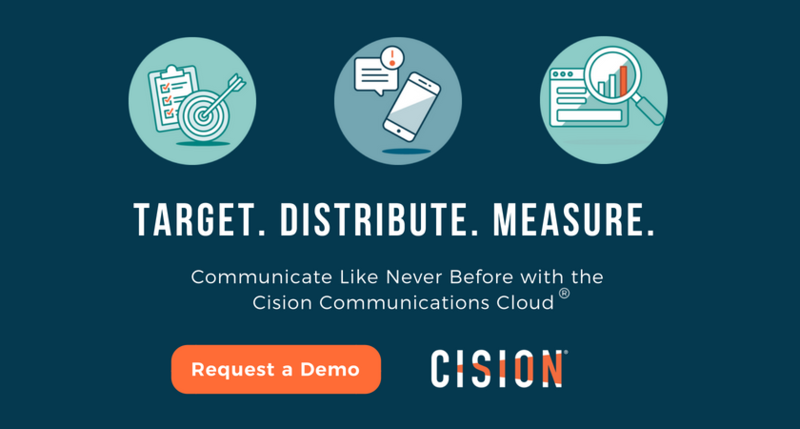 To learn more about all that’s possible with Cision Communications Cloud, schedule a demo today! 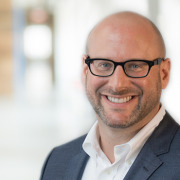 Jason Edelboim is President of Cision Americas, where he oversees sales, customer service and operations for the U.S., Canada and Latin America, as well as Cision’s Global Product organization. He is responsible for developing and executing the company’s go-to-market strategy to drive revenue growth and profitability. Edelboim has served as Cision’s President of the Americas since December 2016. He was named President of PR Newswire in June 2016, and prior to that was a Senior Vice President at the company from June 2013 to June 2016. Edelboim has over 15 years of experience at the intersection of media and technology. He previously worked at Bloomberg LP from 2003 to 2009 where he held progressing leadership roles within the company’s Media Group. He has also worked at Time Warner and Euromoney Institutional Investor. Edelboim holds an MBA from the Stern School of Business at New York University and a BA from Columbia University.